When I was asked to put together my top 10 MTC shows, my first response was to say “no”. Just imagine how many members of the theatre fraternity I would insult if I didn’t list the show they wrote, directed, acted in, lit, designed? However, having been discrete for 18 years, it’s probably time to break free so let’s be bold. The one thing I haven’t done is put them in any order because each was as good as the other for different reasons. This was the first MTC show that I saw. It was part of the Perth International Arts Festival and one of the shows that opened the Octagon Theatre on the campus of the University of Western Australia in 1969. I was a teenager and won a ticket to see it. I had a centre aisle seat and was absolutely thrilled to see Robin Ramsay, star of TV’s Bellbird, live on stage. It was a show that stayed with me for years even though I had no idea it was an MTC production until I joined the Company. Much as I enjoyed Neil Armfield’s production of The Doll this year, I still have to put Robyn’s version in my Top 10 list. 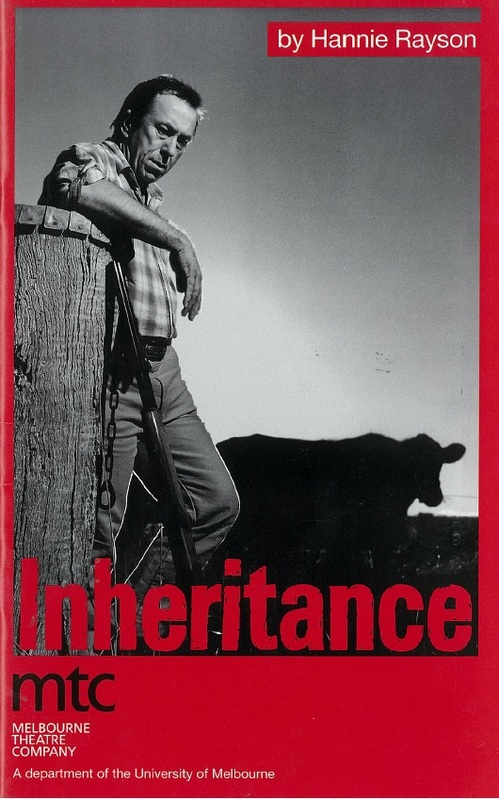 Set in Tony Tripp’s wonderful naturalistic set, the performances by Genevieve Picot, Frankie J. Holden, Steve Bisley, Valerie Bader, Sophie Lee, Lois Ramsey and Fred Whitlock were compelling. 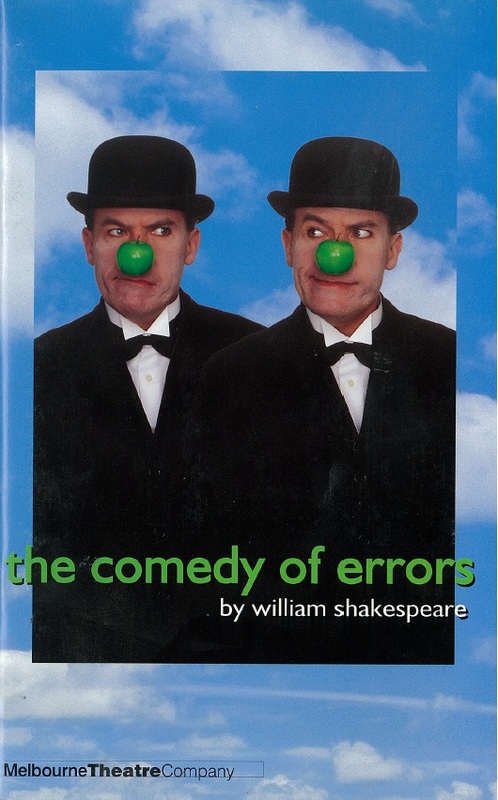 I remember going to a dress rehearsal with low expectations: an old play, I thought, and one that I knew. But like every generation that discovers the emotional and lasting power of The Doll I was blown away. Roger worked with Tony Tripp (designer) and Jamieson Lewis (lighting) on many shows but this was the one that absolutely captured the heart of the play and the audience. 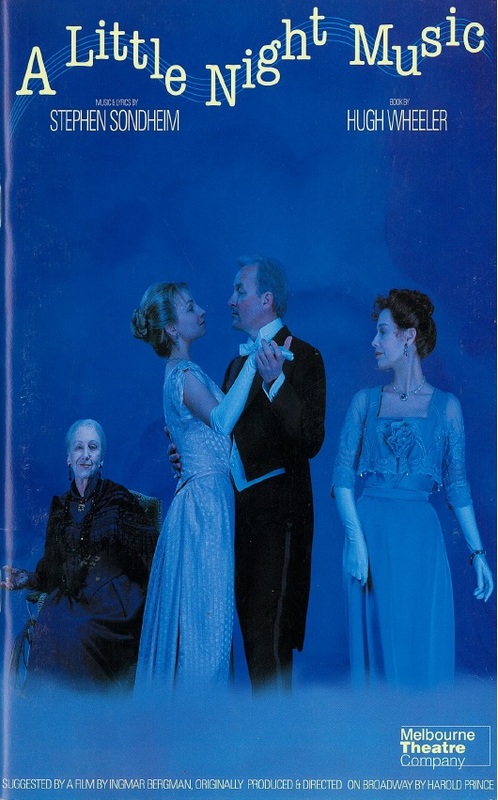 It had an extraordinary cast including Ruth Cracknell, Helen Morse, John O’May, Pamela Rabe and Greg Stone. The show sold out within days and we eventually transferred it to the Princess Theatre where the production looked as if it was made for that elegant old space. Yes, I know. That’s cheating. But Simon is such a brilliant director of Shakespeare that I just can’t decide. What’s your favourite? 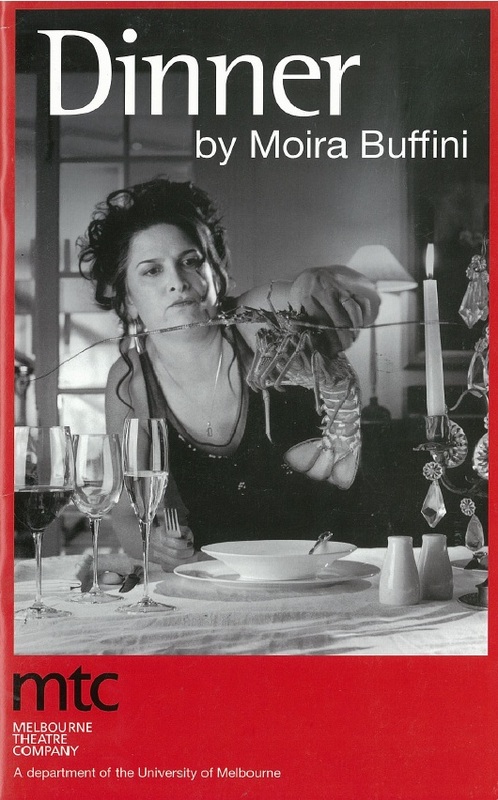 MTC has produced over 200 Australian plays and this was a commission. Simon asked Hannie what she really wanted to do and she said “write a big play”. He said yes and she did – a cast of 12. Hannie spent months researching the state of the land in regional Victoria and created a sprawling, vibrant play that audiences adored. It’s a battle for dinner table moments between this production and Simon’s Festen. And it’s an equal battle between Pamela Rabe in this one and Jason Donovan in Festen. Ultimately it came down to the way the Fairfax was used in Dinner with the audience on every side, sharing the meal. 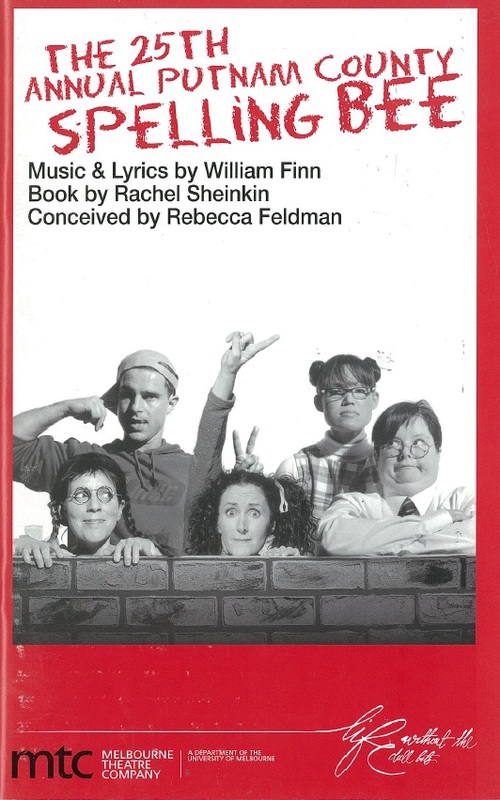 I went to see this musical in New York reluctantly. It contained all the elements that I loathe – adults playing children, audience participation and a subject that doesn’t appeal – spelling. And I walked out of the theatre with a spring in my step and a smile on my face. Next day, I raced into the writers’ agent to ask for the Australian rights. On returning back to Melbourne, I presented Simon with a fait accompli: it had to be in our next season and he had to direct it. Having not seen it, he was reluctant but succumbed. And the result was smiles all around as the season ran and ran and ran. Usually, we get the rights to a show and then give it to an Australian creative team to develop a new production. 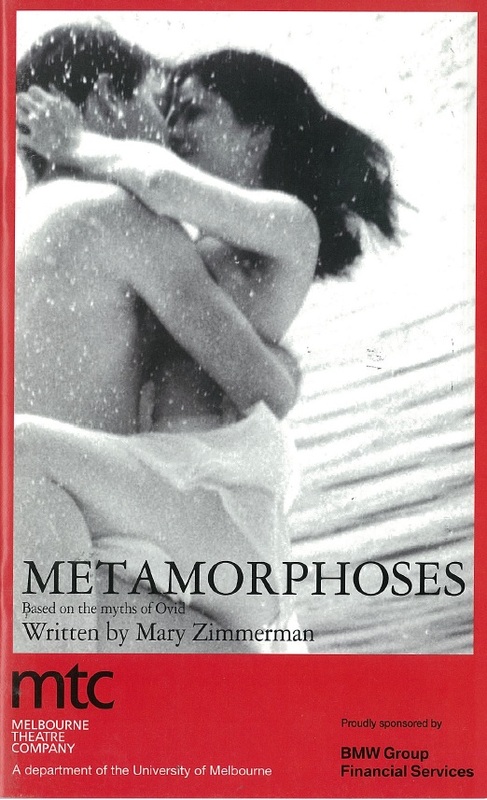 In the case of Metamorphoses Mary Zimmerman, an American writer/director, had created such a magical work that we asked her and her team to come to Melbourne and re-create her great vision with a group of young Australian actors. We created a shimmering pool of water in the VCA’s Space 28, provided towels for the audience members in the front row so that they wouldn’t get too wet in the middle of winter, and let the tales of Ovid speak for themselves. Caroline O’Connor has the trifecta: she can dance and act and sing. Under Simon’s encouragement, Joanna Murray Smith created six wonderful characters full of life, warmth and humour for Caroline to play. With the exception of one night (Opening Night audiences are sometimes too knowing for their own good), Caroline played to standing ovations – in the initial season; in the return season; in Edinburgh and London too. 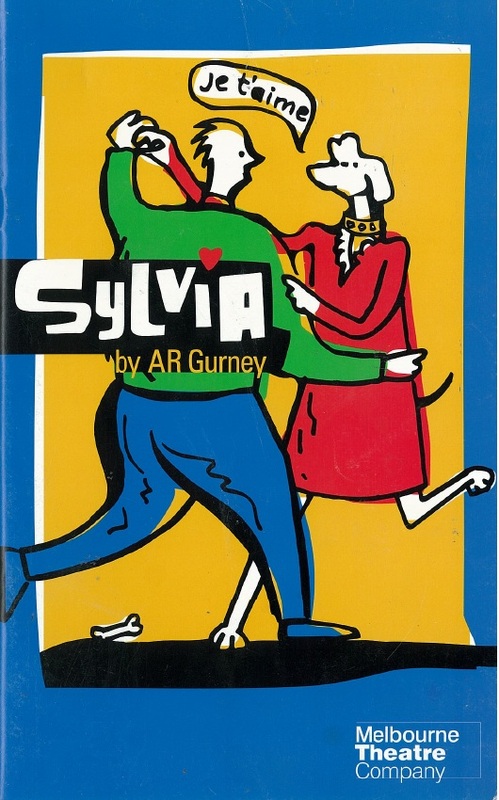 For those who didn’t see it, Sylvia is a play about a dog. I’m more of cat than dog person but I fell in love with Sylvia, realised to perfection on roller skates in the initial season by Rachel Griffiths. We invited lots of vets to see the show and the word spread wide and fast about what an engaging production it was. Two years later, it toured all over Australia with Genevieve Morris and Mary Coustas playing Sylvia and I saw audiences fall in love with that very special dog in Alice Springs, Sydney, Toowoomba and Hobart. And I should confess to the one that I hated the most…. suspect that I actually caused my mother’s fall just to have an excuse to avoid The Pillowman. What have been some of your favourite MTC productions in our 59 years on stage? We’d love you to share your experiences below.